After months of researching and designing, we’re finally heads down in product development, building the first version of Userlist.io. 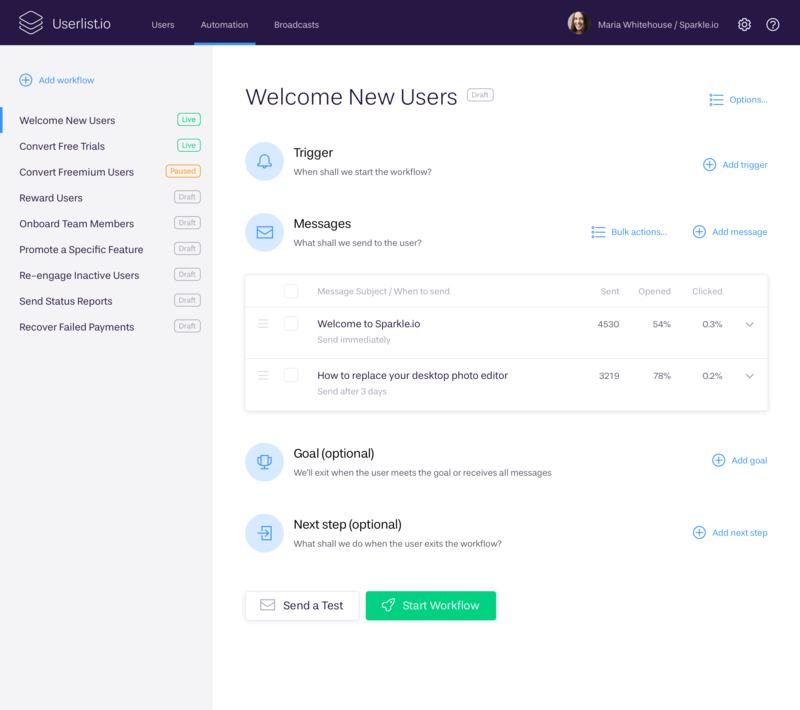 Userlist.io is the easiest way to observe and communicate with your users post-signup — without having to pull your customer data from 15 sources, or manage a clunky interface that only makes sense if you have the time to become a power user. Here’s how the idea for Userlist.io was first born, why we chose to pursue that idea, and what our vision is for our product and company. We started working on Userlist.io at the end of 2017, but our story began almost a year earlier. In January of 2017, Jane launched Tiny Reminder, a SaaS product for freelance creatives that sends automated follow-up notes to clients. Very quickly, Jane ran into the wall that nearly every self-funded SaaS founder runs into: she couldn’t actually see who was using her app, or what they were doing with it. Option 1. Pay a lot of money — and spend a lot of time — setting up Intercom, Mixpanel, or another tool primarily built for well-established (or well-funded) SaaS companies. Option 2. 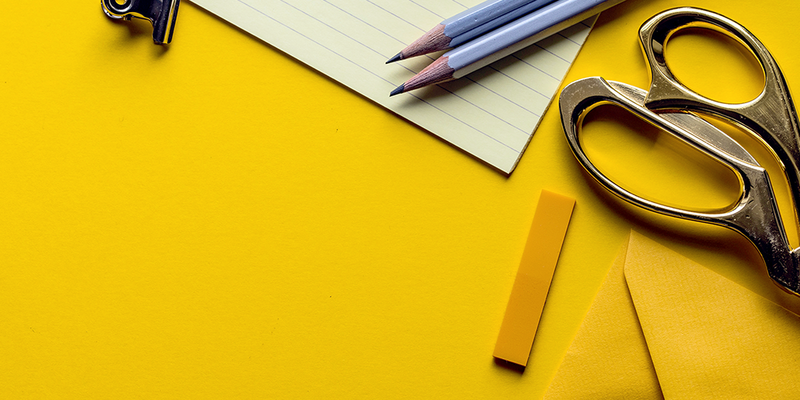 Use a tool primarily built for pre-signup marketing communications designed to nurture leads (like Drip or MailChimp), instead of guiding them through a customer lifecycle. Option 3. 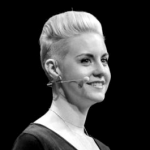 Pay Benedikt, who she’d hired to build Tiny Reminder, to develop a custom solution. Eventually, Jane decided to use Intercom to observe and communicate with Tiny Reminder users — but the pain points persisted. Here’s the truth: user communication tools like Intercom or Customer.io weren’t designed for self-funded, pre-revenue SaaS companies. Neither were user analytics tools like Mixpanel or Kissmetrics. That fact shows up in both how these tools are priced, and what it’s like to actually use them. While Jane was working on Tiny Reminder, Intercom’s lowest price point was in the range of $100/month. They’ve since added an “Early Stage” plan at $49/month, but it’s only available to first-time customers for 1 year (after that, customers must upgrade). For a founder backed by investor funds, paying $100/month for a communication tool is a no-brainer. But for a founder self-funding her product through consulting work, $100 was a noticeable amount to hand over every month, especially in the pre-revenue stage. Despite the price tag, Jane chose Intercom because, as a non-technical founder, it was the only solution that enabled her to manage her users and display in-app event-based messages. “Ultimately, I said to myself: the price tag doesn’t matter,” she said. “Quality software is how I make my living, therefore, I deserve quality software to run my own SaaS product.”. Some of Intercom’s multiple features were helpful, the others weren’t. Some things kept bothering Jane: like the bulky user table, a message composer that required twenty clicks to edit one email, and (paradoxically) lack of insight on what users do. The tool was doing its job right, but still felt like it was built for someone else. Marketing automation tools (like Drip) were less expensive to get started — but they didn’t provide any clear way to observe users. And without being able to understand user behavior, how could Jane possibly plan and send effective communications? Once again, Intercom was the only tool at hand: it provided very basic user management, but no insights about user behavior. Benedikt confirmed Jane’s frustration: to see more, they’d have to build something custom. And that’s when Jane’s lightbulb moment happened: why aren’t there any out-of-the-box ways for founders to observe and manage users? Why are the only communication tools available made for investor-funded or mature companies? Would a simple dashboard + email tool solve other self-funded founders’ problems, too? When an acquisition offer for Tiny Reminder came along, Jane gained back the time and energy to move on to a new SaaS product — one that, perhaps, could solve the major pain she herself felt while building Tiny Reminder. And instead of going it alone this time, she asked for help. First, she approached Benedikt, who came on board as the technical co-founder. Then, she approached me about joining the team as the marketing co-founder. As a longtime listener of the UI Breakfast Podcast, I’d followed Jane and her work in UI design for several years. So when Tiny Reminder launched (only a few months after I’d left my role as Director of Marketing at Calendly), I was excited to try the product for myself — and hopefully eliminate the pain of my own client follow-up. So when Jane reached out about potentially launching a SaaS product together, I was flattered — and thrilled. I’d seen how difficult it was for early-stage founders to understand their users’ behavior. And I’d chatted with many friends in the SaaS space — marketers, copywriters, customer experience professionals — about how difficult it is to actually use behavioral data to trigger relevant communications. Needless to say, I was excited to join the team. But before getting carried away by the thrill of a new project, I wanted to make sure all founders shared a clear vision of what we were in it for. What do we, as co-founders, really care about? What are our personal “why”s for behind starting a business — and what’s our shared “why”? What will drive us to get out of bed and work on Userlist.io every day? It was deeply important to me that as co-founders, our personal visions aligned before we jumped into something as big as founding a company. So, what is our shared vision? We want to build something that other SaaS founders can start using early in their product journey, without having to go through a painful setup process or drain their bank account. We want to build something that we, as founders, can enjoy building — without having to secure through rounds of funding, or reach overly aggressive, exhausting growth targets. We want to build at a sustainable pace, and we want to be thoughtful about the product decisions we make. That might mean creating a product that’s less feature-rich than other communication tools on the market, but that’s exactly right for a specific niche of SaaS companies. And to get started, we’ve done a lot of research. What exactly do founders struggle with? Last November, I spent every Tuesday on back-to-back video calls with self-funded founders. Using the Jobs To Be Done framework, I interviewed dozens of people to understand how they decided to manage and communicate with their users, why they made those decisions, and what worked or didn’t work for them. Through that process, we were reassured that Jane’s pain point was common among self-funded SaaS founders. Existing tools are too complex to be useful. Existing tools provide in-depth analytics, or communication options… but not both. Existing tools force a founder to set up onboarding communications before understanding what the ideal user journey really is. 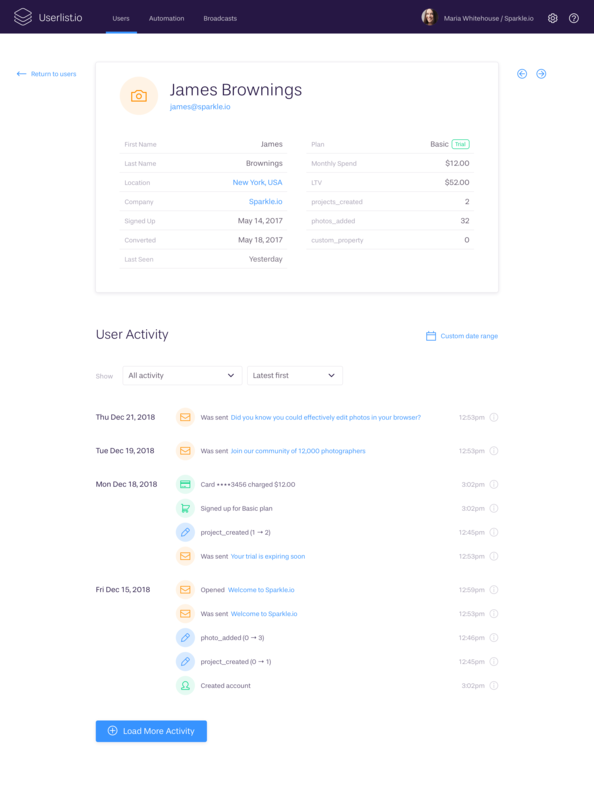 Our first feature is an admin dashboard displaying your users’ real names, email addresses, and a timeline of the actions they’ve taken — e.g., did this user start a new project? Did they start five? When? In what sequence? The user list gives founders a clear window into individual users’ journeys – from signup to present day. Since Userlist.io automatically keeps track of who’s doing what, it becomes much easier to step back, identify which actions your most successful users take, and set up emails to users who haven’t taken those actions and need a nudge in the right direction. We had plenty of other ideas (many of which are scheduled as part of our roadmap), but these are our starting point. It took some effort to cut out a few highly desired features, like in-app messaging, from the MVP stage — but we needed to focus on the single most important channel. We are enormously grateful to the many founders who’ve volunteered their time to speak candidly with us about their businesses. Now we’re heads down in product development, building the first version of the product for you. What can you do to get on board early? Sign up for our waiting list using the button below. Reply to the welcome email you’ll get, and tell us about your SaaS business. What problems are you struggling with? What programming language and frameworks do you use? We’ll pass this info to Benedikt, so that he can make the integration process as smooth as possible. Let us know if you’d like to be one of the early adopters! Thank you for reading. We can’t wait to see you on board!